Samsung is working hard on 64-bit technology, with plans to get it out into the open by the end of the year. Speaking to Cnet, Kyushik Hong, vp of marketing for Samsung's LSI business said that the company is "very actively working" on 64-bit right now. "64-bit is very important… in the sense that there's a real demand, whether you need it or not," said Hong. "Our chips will be ready whenever the operating systems and ecosystem go 64-bit." Hong added that Samsung is sure it's "not going to be the bottleneck" for the technology. All needs now is is for operating systems such as Android to support it. Apple was the first to get in on the 64-bit game back in September, packing the architecture into the iPhone 5S. Others, however, are still lagging behind. 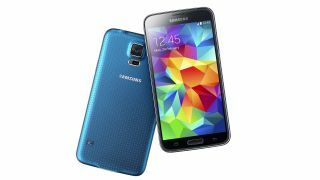 The Samsung Galaxy S5 was rumoured to be coming with a 64-bit processor at one point, but now you'll probably be waiting for the S6. However, there is a chance that we could see it arrive in the Galaxy Note 4, which is expected late this year.